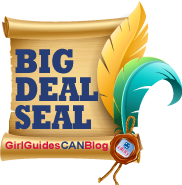 Update: This post was voted a 2012/2013 GirlGuidesCANblog Big Deal Seal winner in the Girls’ Guides category! Bravo blogger Megan! At a time when a girl can choose Scouts or Girl Guides, is there really much difference? Or can she get a little bit of both in Girl Guides? This year Scouts Canada is hosting a jamboree at Sylvan Lake. The 64th Edmonton Pathfinders were eager to go to this jamboree and so was I. But as a Ranger, I was too old to attend as a youth but too young to attend as a supervisor. So I signed up to be an Offer of Service (a volunteer) at the jamboree. During the first team meeting I had with the Scouts I confessed I was a Girl Guide. They all chuckled and said, “It’s okay. We forgive you.” I didn’t know what to make of this – I have always been proud to be a Girl Guide but suddenly I was an outsider. Part of my job before the jamboree is to talk to Scouts and Guides and see what types of things they are doing to prepare for the event. I got two Scouts from the 59th Edmonton Scouts and two of the 64th Pathfinders to talk to; this is when I realized I was not an outsider, just a different species of the same breed. Both groups are selling sweets and having bottle drives to fundraise, and everyone is looking forward to a week playing in the lake. Neither group really cares about the other being there; they realize that there is a greater opportunity for excellent badge trading from a whole new audience. Just because we are in Girl Guides doesn’t mean we can’t join in the Scouting fun. We are one in the same and the Canadian Jamboree is just a great opportunity for other Guides and Scouts to realize this. By guest blogger Megan Lamothe. Megan is a 3rd year Ranger in the 64th Edmonton Rangers and received her Chief Commissioners Gold Award in her second year of Rangers. She loves volunteering at camps and traveling, and is looking forward to an international trip to Kenya this summer. 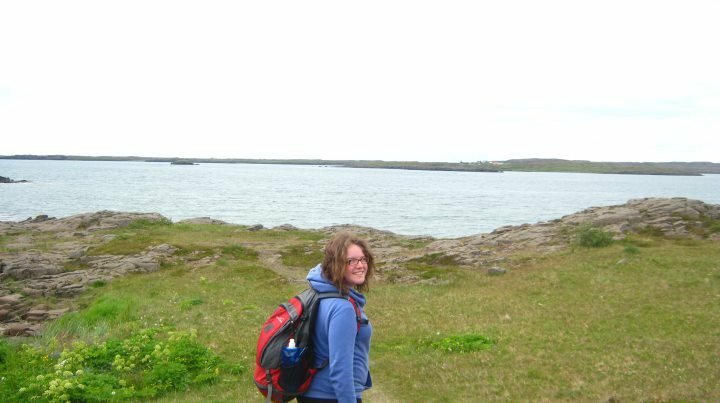 Don’t forget to read her other post for GirlGuidesCANBlog: My Summer of Guiding. What’s New with Girl Guides? World Health Day is Sunday, April 7th and the 2013 theme is high blood pressure. We highlighted for you a select number of related girl programming activities that you could do with your Unit to highlight health issues. This entry was posted in Girls' Guides and tagged Scouts, travel, volunteer. Bookmark the permalink. Thank you for this, I sent my Guide to a Cub camp last year for comfort for her brother, (1st year cub and never has been away from home for a week.) I may send her again this year if she doesn’t get into the camp we applied for. I wish these these two groups could work together more then they do now. I am a Trefoil Guild member and a long-time Girl Guide. I fully understand and accept the fact that our girls benefit so much from belonging to a girls-only organization. However, I have been privileged to watch the benefits gained by my granddaughter who belonged to both organizations from Sparks/Beavers through to Guides/Scouts. Because of what she learned camping in Scouts, she is a better Guide camper. She is currently in her last year of Pathfinders and would have remained in Scouting, but another activity caused a time conflict. My daughter is a Guider and my granddaughter’s father is a Scouter. Thanks Megan for your understanding of the benefits of enjoying Scouting and Guiding activities together.